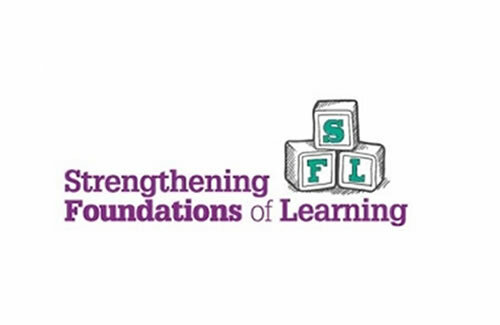 The final evaluation report of SFL was launched on March 4th in Hilton Hotel Dublin Airport and was attended by many key figures from both early years community and prevention and early intervention community. Early years practitioners from 3 partner early years settings attended an Aistear cluster group to develop Aistear learning experiences. Cluster groups take place every three months and provide ongoing support for practitioners who have completed Planning and Assessing training with Preparing for Life. Planning and assessing training supports practitioners to implement an emergent and inquiry-based curriculum in their setting. Practitioners are trained to use tools and templates from the Aistear Síolta practice guide(link is external). To view learning experiences from Doras Bui, click here and here.To view learning experiences from Moatview Early Years Education Centre, click here. 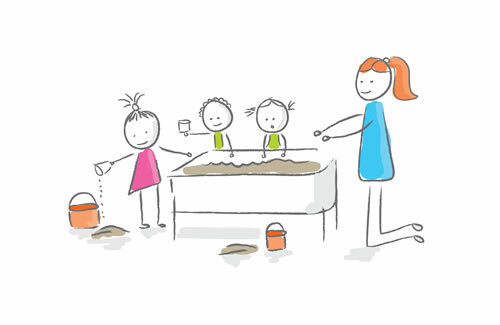 To view learning experiences from Darndale Belcamp Integrated Childcare Service, click here and here. On 15th December, Preparing for Life’s Early Years team hosted a special end of year event in the Hilton Hotel where Professor Noirín Hayes presented certificates to early years educators who took part in our most recent Language for Life training programme. Click here for more information. Preparing for Life’s planning and assessing training supports settings to use tools and techniques from the newly published Aistear Síolta Practice Guide. For more information on the planning and assessing programme, click here. For more information on the Aistear Síolta Practice Guide, click here(link is external). Leaders from four of Preparing for Life’s partner early years settings began leadership training on the on 29th September. The group sessions, led by Emma Byrne Mc Namee, provide a taster of continuing professional development (CPD) workshops planned for 2016 in collaboration with Trinity College Dublin. For more information on the group sessions click here. For more information on upcoming CPD with Trinity College Dublin contact Emma Byrne McNamee, Early Years Programmes Manager. From January to April 2015, 15 early years educators took part in our first Language for Life programme. To mark the conclusion of the programme, participants were presented with certificates of completion on 15th June 2015. For more information on the event, click here. For more information on the Language for Life programme, click here. From January to June 2014, 60 early years professionals took part in our Early Years Induction Programme. During the programme, participants developed curriculum statements which are now on display in all of our partner settings, helping to make children’s learning visible to parents. For more information on the Induction Programme and final event, click here. To view sample curriculum statements, click on the links below. September saw the launch of our new early years practice programme, Strengthening Foundations of Learning. For more information on our new practice programme, please click here. On Wednesday 17th February, Preparing for Life’s Early Years team was out in force to support Jigsaw Manager, Kelda Barnes, as she presented to a national audience at an ABC Learning Community Event which was held in the historic Dublin Castle. For more information on the event, click here. Early years educators from 6 local early years settings took part in an arts workshop in ReCreate, Tallaght on 3rd February organised by our Early Years team. For more information on the visit, click here. Participants from our Language for Life programme showcased their work at the Early Years Education Forum in Dublin Castle on the 15th December 2015. The event, hosted by the Early Years Education Policy Unit (Department of Education and Skills) included a keynote address from Professor Paul Leseman from Utrecht University in the Netherlands, and presentations from Minister for Education, Jan O’Sullivan. For more information on the event, click here. For more information on Language for Life, click here. 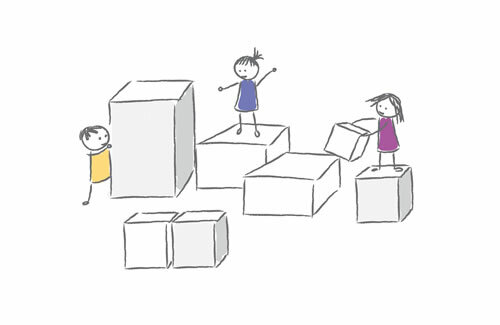 Settings taking part in Preparing for Life’s Early Years Practice Programme are featured on the NCCA’s Aistear Síolta Practice Guide website. Click here for more information. Minister for Children and Youth Affairs Frances Fitzgerald, visited Preparing for Life to present local early years settings with the Síolta Validation Award. The Síolta Quality Assurance Process is the only nationally recognised, government accredited quality assurance programme for early childhood (Birth to 6 years). For more information and to see photos from the event, click here. 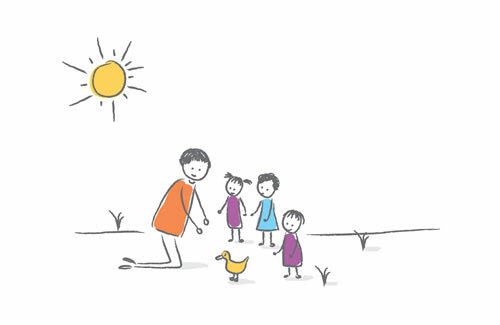 Síolta is the National Quality Framework for Early Childhood Education and details best practice standards for early childhood care and education in Ireland. This report examines staff perceptions and attitudes towards Síolta before taking part in the pilot Siolta Quality Assurance process with Preparing for Life. This report outlines 11 local settings’ self-reported readiness for change before taking part in the Síolta programme. For more information and to read the full report, click here.